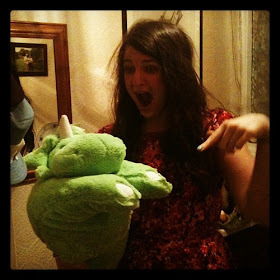 t*rexes and tiaras: Friday Favourites 221..
You'd be right in wondering just what had come over me this week. Never normally a festive soul, I've been pairing up for this year's #bloggersecretsanta and in shopping for my parcel, a lot of festive bits and bobs seem to have caught my eye. 001: Oh, Radley have done it again with their wonderful picture bag. I already have a festive one and I can't justify another, but it's soooooo pretty! 002: Erstwilder have a whole bundle of new things out now, including a whole Christmas range. 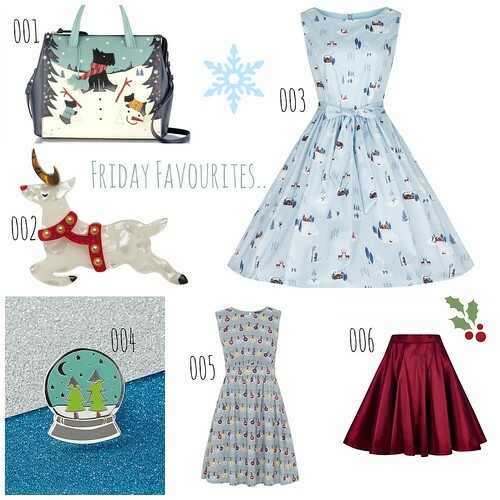 003: Lindy Bop are coming out with some lovely festive designs- like these ice skaters! 004: Punky Pins have so many cute pin brooches at the moment. This snowglobe has melted my heart. 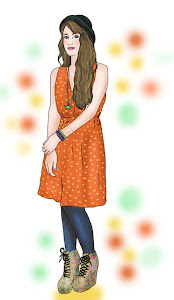 005: I love the fairy light print on the latest Emily and Fin dresses. 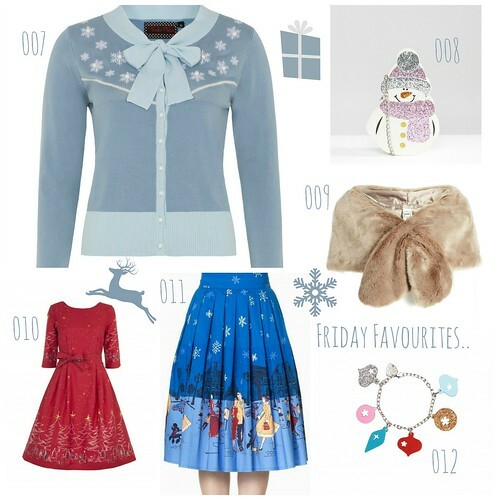 007: Because who needs an excuse to wear festive knitwear? I love the collar detail on this. 008: Cute, glittery snowman bag? I'm on it! 009: Cold weather means furry collars; this Joanie one is the perfect finishing touch to any winter outfit. 010: Palava have some amazing festive prints! 011: The superb winter ice skating scene on this skirt makes me long to be back in NYC! 012: Tatty Devine's Xmas range is awesome - I love this bracelet and also their party crown. Have you got any festive pieces in your sights? Is it too soon to be thinking about this?